For people who have lost a tooth, or multiple teeth, dental implant restoration may be the best solution. Dental implants give patients a natural-looking smile that is structurally sound. 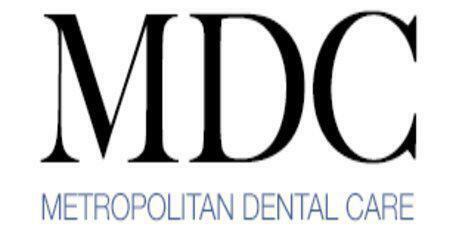 Dr. Nicole Mermet is a Midtown, New York, NY area dentist, conveniently located by Bryant Park and Grand Central Station, who specializes in general and cosmetic dentistry including dental implants. Dental implants are a very effective type of dental restoration because they provide both cosmetic and structural benefits. People who have missing teeth will often feel unhappy with the sunken look that may develop in the cheek area, and they often feel very self-conscious about smiling. Missing teeth also mean that it can be difficult to eat normally, making many people avoid eating the foods that they love. Dental implants can restore the smile, and well as the functionality of the teeth. How Are Dental Implants Different From Removable Dentures? While dentures are removed overnight and for cleaning purposes, dental implants are surgically installed in the mouth and are permanently in place. Dentures can shift over time, which changes the way that they fit. Dental implants, once installed, will not move because they are rooted in the jawbone securely. Removable dentures generally require replacement, or at least partial replacement (relining or rebasing), every few years. Dental implants don't need to be replaced and will usually last a lifetime. Only the cosmetic part of the dental implant (the crown) will need replacement after 10 to 15 years. How Are Dental Implant Restorations Installed? Dental implant restoration is typically done over a period of several months. During the initial appointment, the dentist will take X-ray images of the area with the missing tooth or teeth, and will create molds of that area in the mouth. At the next appointment, the dentist will make the surgical incisions needed to anchor the implant base into the jaw. The patient will have some time to heal and to allow the implant to fully anchor itself permanently into the jaw after that. At the last appointment, the visible part of the implant, the prosthetic teeth, will be screwed onto the implant post. At that point, the dental implant restoration is complete and the patient will be able to treat the new implant just like a natural tooth.